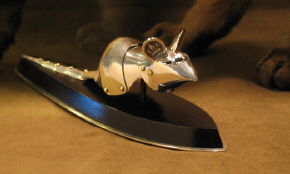 Antique-style metal armour for mice and cats. On the same website, “How to make a giant tin toy”, and other how-to’s. I’d love to see this as idea as an UT3 mod, ideally with a cartoon look; like Tom & Jerry on steroids.